STUDIO PROPER, X LOCK KICK STAND, AIRCRAFT GRADE ALUMINUM, IDEAL ELEVATION AND VIEWING ANGLE, ALLOWS X LOCK COMPATIBLE CASES TO BE MOUNTED WITH A SIMPLE 'TURN AND CLICK', DESIGNED FOR PORTRAIT AND LA Barcoding Store, powered by Strategic Mobiltiy Group, LLC (SMG3) offers globally recognized products and industry-leading solutions to enhance your organnization's productivity. Combining optimal search functionality and industry-leading products from Zebra, Honeywell, AML, etc., Barcoding Store creates a superior shopping experience unlike any other withing our industry. TAYLOR MADE CASES, ZEBRA TC70 OPEN FRONT CASE WITH ONE D-RING Barcoding Store, powered by Strategic Mobiltiy Group, LLC (SMG3) offers globally recognized products and industry-leading solutions to enhance your organnization's productivity. Combining optimal search functionality and industry-leading products from Zebra, Honeywell, AML, etc., Barcoding Store creates a superior shopping experience unlike any other withing our industry. THERMAMARK, CONSUMABLES, 4"X 6.5", COATED PAPER TAG, THERMAL TRANSFER, FANFOLD, 13" FOLD LENGTH, WHITE, 2500 LABELS PER STACK, Barcoding Store, powered by Strategic Mobiltiy Group, LLC (SMG3) offers globally recognized products and industry-leading solutions to enhance your organnization's productivity. Combining optimal search functionality and industry-leading products from Zebra, Honeywell, AML, etc., Barcoding Store creates a superior shopping experience unlike any other withing our industry. TAYLOR MADE CASES, ZEBRA 9000 SERIEFABRIC FORKLIFT MOUNT, WITH CORNER GROMMETS AND BACK WEB LOOPS Barcoding Store, powered by Strategic Mobiltiy Group, LLC (SMG3) offers globally recognized products and industry-leading solutions to enhance your organnization's productivity. Combining optimal search functionality and industry-leading products from Zebra, Honeywell, AML, etc., Barcoding Store creates a superior shopping experience unlike any other withing our industry. EXADIGM, G101 PIN PAD - RS232 CABLE, TOUCH SCREEN, MSR, NFC READER, PCI 4.0 Barcoding Store, powered by Strategic Mobiltiy Group, LLC (SMG3) offers globally recognized products and industry-leading solutions to enhance your organnization's productivity. Combining optimal search functionality and industry-leading products from Zebra, Honeywell, AML, etc., Barcoding Store creates a superior shopping experience unlike any other withing our industry. THERMAMARK, CONSUMABLES, 2.52"X 360.8', BLACK, STANDARD WAX/RESIN RIBBON, 24 RPC, 24 ROLLS MOQ, CSI, FOR DMX E-4203/E-4304/OVATION/WINNOVATION/ZEBRA T300 PRINTERS, PRICED PER CASE Barcoding Store, powered by Strategic Mobiltiy Group, LLC (SMG3) offers globally recognized products and industry-leading solutions to enhance your organnization's productivity. Combining optimal search functionality and industry-leading products from Zebra, Honeywell, AML, etc., Barcoding Store creates a superior shopping experience unlike any other withing our industry. THERMAMARK, CONSUMABLES, STANDARD WAX RIBBON, BLACK, 2.28" X 295', 0.5" CORE, CSO, 48 ROLLS PER CASE, 48 ROLL MOQ, FOR SARTORIUS YDP30 PRINTER, PRICED PER CASE Barcoding Store, powered by Strategic Mobiltiy Group, LLC (SMG3) offers globally recognized products and industry-leading solutions to enhance your organnization's productivity. Combining optimal search functionality and industry-leading products from Zebra, Honeywell, AML, etc., Barcoding Store creates a superior shopping experience unlike any other withing our industry. EXADIGM, NX1200 COUNTERTOP - DUAL COMM (ETHERNET AND DIAL), MSR, EMV, NFC READER, PCI 3.0 (PN IS FOR A KIT INCLUDING A POWER SUPPLY, & A PAPER ROLL) Barcoding Store, powered by Strategic Mobiltiy Group, LLC (SMG3) offers globally recognized products and industry-leading solutions to enhance your organnization's productivity. Combining optimal search functionality and industry-leading products from Zebra, Honeywell, AML, etc., Barcoding Store creates a superior shopping experience unlike any other withing our industry. THERMAMARK, CONSUMABLES, 4.25"X 262', STANDARD WAX/RESIN RIBBON, BLACK, 0.5"CORE, FOR COGNITIVE BLASTER/ADVANTAGE PRINTERS, 24 ROLLS PER CASE, PRICED PER CASE Barcoding Store, powered by Strategic Mobiltiy Group, LLC (SMG3) offers globally recognized products and industry-leading solutions to enhance your organnization's productivity. Combining optimal search functionality and industry-leading products from Zebra, Honeywell, AML, etc., Barcoding Store creates a superior shopping experience unlike any other withing our industry. 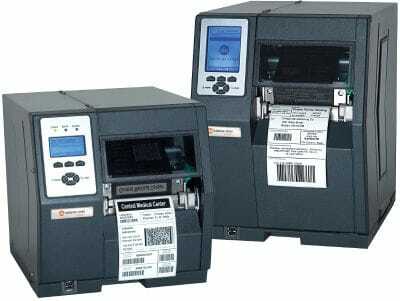 LABELMATE, OPTIONAL TENSIONING SHAFT FOR LD-100 LABEL DISPENSER Barcoding Store, powered by Strategic Mobiltiy Group, LLC (SMG3) offers globally recognized products and industry-leading solutions to enhance your organnization's productivity. Combining optimal search functionality and industry-leading products from Zebra, Honeywell, AML, etc., Barcoding Store creates a superior shopping experience unlike any other withing our industry. EXADIGM, G3N, WIRELESS - WIFI, TOUCH SCREEN, MSR, EMV, NFC READER, PCI 4.0 (PN IS FOR A KIT INCLUDING A LI-ION BATTERY, POWER SUPPLY) Barcoding Store, powered by Strategic Mobiltiy Group, LLC (SMG3) offers globally recognized products and industry-leading solutions to enhance your organnization's productivity. Combining optimal search functionality and industry-leading products from Zebra, Honeywell, AML, etc., Barcoding Store creates a superior shopping experience unlike any other withing our industry. THERMAMARK, CONSUMABLES, THERMAL TRANSFER RIBBON, BLACK, STANDARD WAX, 4.25" X 262', CSO, 48 RPC, PRICED PER CASE, FOR USE IN COGNITIVE BLASTER/ADVANTAGE PRINTERS Barcoding Store, powered by Strategic Mobiltiy Group, LLC (SMG3) offers globally recognized products and industry-leading solutions to enhance your organnization's productivity. Combining optimal search functionality and industry-leading products from Zebra, Honeywell, AML, etc., Barcoding Store creates a superior shopping experience unlike any other withing our industry. THERMAMARK, CONSUMABLES, 4.33"X 984' (110MM X 300M), THERMAL TRANSFER, RIBBON, BLACK, STANDARD RESIN, 1"CORE, CSO, FOR TSCTTP/TDP245-343 PRINTERS, 12 ROLLS PER CASE, 24 ROLL MOQ, PRICED PER CASE Barcoding Store, powered by Strategic Mobiltiy Group, LLC (SMG3) offers globally recognized products and industry-leading solutions to enhance your organnization's productivity. Combining optimal search functionality and industry-leading products from Zebra, Honeywell, AML, etc., Barcoding Store creates a superior shopping experience unlike any other withing our industry. THERMAMARK, CONSUMABLES, THERMAL TRANSFER RIBBON, BLACK, STANDARD WAX/RESIN, 4.33"(110MM) X 2050'(625M), CSO, 12 RPC, 24 ROLL MOQ, PRICED PER CASE, FOR USE IN PRINTRONIX SL5000, T5000, AND T8000 PRIN Barcoding Store, powered by Strategic Mobiltiy Group, LLC (SMG3) offers globally recognized products and industry-leading solutions to enhance your organnization's productivity. Combining optimal search functionality and industry-leading products from Zebra, Honeywell, AML, etc., Barcoding Store creates a superior shopping experience unlike any other withing our industry. EXADIGM, NX2200E EVDO, WIRELESS - ETHERNET, VERIZON, TOUCH SCREEN, MSR, EMV, NFC READER, PCI 4.0 (PN IS FOR A KIT INCLUDING A LI-ION BATTERY, POWER SUPPLY, & A PAPER ROLL) Barcoding Store, powered by Strategic Mobiltiy Group, LLC (SMG3) offers globally recognized products and industry-leading solutions to enhance your organnization's productivity. Combining optimal search functionality and industry-leading products from Zebra, Honeywell, AML, etc., Barcoding Store creates a superior shopping experience unlike any other withing our industry. BROTHER MOBILE, 2.2" POWERED DESKTOP THERMAL PRINTER, 300DPI, WLAN/LAN/USB/SERIAL Barcoding Store, powered by Strategic Mobiltiy Group, LLC (SMG3) offers globally recognized products and industry-leading solutions to enhance your organnization's productivity. Combining optimal search functionality and industry-leading products from Zebra, Honeywell, AML, etc., Barcoding Store creates a superior shopping experience unlike any other withing our industry. TSI, PCAP TOUCH FOR LG55LS75A 5B DISPLAY. INTEGRATED WITH 80PT PCAP TECHNOLOGY, ANTI-GLARE GLASS, AND CUSTOM BLACK BEZEL. DISPLAY NOT INCLUDED Barcoding Store, powered by Strategic Mobiltiy Group, LLC (SMG3) offers globally recognized products and industry-leading solutions to enhance your organnization's productivity. Combining optimal search functionality and industry-leading products from Zebra, Honeywell, AML, etc., Barcoding Store creates a superior shopping experience unlike any other withing our industry.